Imagine the horror of learning that your loved one has suffered from a catastrophic spinal cord injury, resulting from an act of negligence or ill-intent. In a flash, an ordinary day of your life can turn into a living nightmare, as your loved one is faced with traumatic procedures and you have to face your own set of consequences. If you find yourself in this situation, though, you must not panic. With the help of a lawyer who is experienced in personal injury cases, you can gather a collection of high-quality resources and create a viable case in court. As defined by the National Institute of Neurological Disorders and Stroke (NINDS), a spinal cord injury (SCI) occurs when a victim suffers a severe blow to a section of the spine, resulting in dislocated and/or fractured vertebrae. Ultimately, the injury becomes especially severe when the dislodged bone fragments push against the spinal cord, which can, in turn, cause bruising and tearing. Typically, a spinal cord injury will not severe the spinal cord itself but will, instead, destroy nerve cells lining this tissue. In many cases, recovery is possible, but other patients are left crippled. A Complete SCI occurs when the patient completely loses motor and sensory capabilities and functions below the point of impact. Contusions or bruises are typically the most common causes of these injuries. About 50% of SCIs are classified as complete. An Incomplete SCI occurs when patients maintain a degree of function in the area of the injury. For example, some patients might have the ability to move one arm or one side of their bodies during recovery. Examples include anterior cord syndrome, central cord syndrome, and Brown-Sequard syndrome. A Penetrating SCI may be similar to the preceding two categories, only the injury is penetrating, meaning an object has pierced the skin and opened the spinal cord. Paraplegia: These injuries take place in the lumbar and/or thoracic areas of the spine and trigger paralysis in the legs and lower section of a victim’s body. Quadriplegia (tetraplegia): These injuries occur in the cervical region of the spine (in the neck) and can trigger loss of motion in all four limbs. Abnormal lumps along the head or the spinal column. For more information about treating spinal cord injuries, please review the official page on the American Association of Neurological Surgeons. As part of a study conducted by the Centers for Disease Control and Prevention (CDC) in 2016, researchers confirmed that about 5.4 million people (roughly 1.7% of the American population) were coping with a variety of paralysis. Out of this collective, about 75% of victims were 65 years of age or younger, while most of this group were female. Even more disturbing, the leading cause of paralysis, besides stroke, was a spinal cord injury. Life can take a difficult and tragic turn if you or a loved one has suffered from a debilitating spinal cord injury as a result of an accident caused by negligence or ill-intent. Here at Edelstein, Martin & Nelson, our team of professional attorneys are passionate about our practice and are fully knowledgeable in the laws, rules, and statutes surrounding personal injuries of this nature throughout the State of Delaware. We can guarantee you will receive the justice you deserve and are ready to help you create a case based on your preferences and goals. For legal advice and for more information about our services, contact our office today at 800-300-0909. 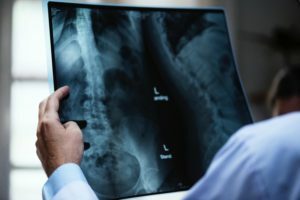 DIAGNOSING A SPINAL CORD INJURYIf Your Loved One Has Suffered from a Spinal Cord InjurySTATISTICS FOR SPINAL CORD INJURIESWHAT IS A SPINAL CORD INJURY?